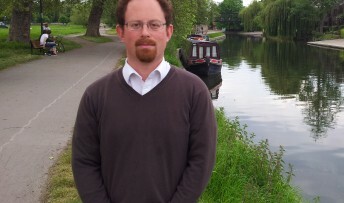 Talented youngster, Clia Wright has designs on MP Julian Huppert’s Christmas card. Clia, 11, sketched the winning entry in a competition to design a festive card on the theme of Julian’s competition Discovering Cambridge. The Year 7 pupil from Coleridge Community College captured the essence of the competition to celebrate the city’s independent traders and combined it with the Christmas theme. Her card shows Father Christmas and his sleigh flying over the tops of the shops one of which is displaying the sign Shop Local. Clia will be presented with a special prize from the House of Commons when Julian visits her at school on Friday (December 20). Runners-up in the Christmas card competition were Silas Smith from Park Street, Primary School, Eddie Carrington from Parkside Federation Academy and Connor Skinner from Shirley Community School. Julian said: “We had some great entries from all the children who showed they had great imagination and had really thought about this year’s theme. “Clia had clearly put a great deal of work into her card and the detail and use of colour was excellent. She is very talented and I am delighted to be able to have her design on the front of my Christmas card.